We wanted to show off our 600C with a custom blue paint job. 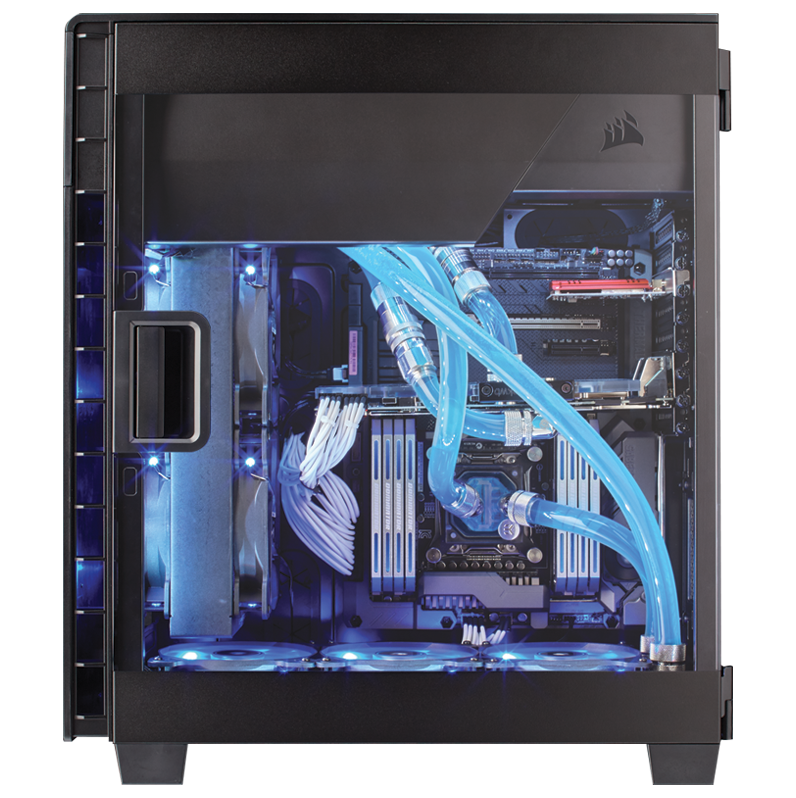 It is one of a kind and is equipped with a custom liquid cooling loop and features our 64 GB Dominator Platinum Memory Kit with Lightbar kits. It also uses a Corsair Link Commander Mini and LED light strips to shine more blue on all the beautiful components.